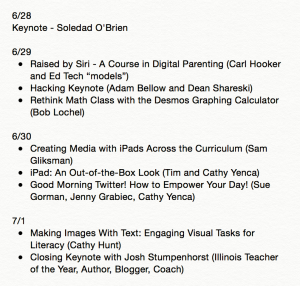 I had the opportunity to attend and present sessions at both iPadpalooza 2015 in Austin as well as ISTE 2015 in Philadelphia the past two weeks. What a thrill to be able to meet and connect with so many passionate people! I loved hanging out with educators from around the world, as well as developers of so many of the digital tools that have become essential to the learning experiences in my corner of Hill Country Middle School. 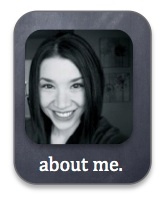 The ThingLink below includes links for you to explore. At our annual iPadpalooza “learning festival” (thanks to the hard work of @mrhooker and his ed-tech team of iVengers) we paid homage to the “Keep Austin Weird” message. Think of folks dressed up in tie dye… or as unicorns… eating at food trucks… live music… elements that make Austin the fun-filled city that it is. But please, don’t stop there. This event, which I’m proud to say is held in the district where I have the privilege to teach, is anything but fluff. A simple glance at our list of speakers is evidence that this “festival” features respected educators whose work impacts classrooms globally on dare-I-say a daily basis. Keynotes from Adam Bellow, Guy Kawasaki, and (THE) Eric Whitacre, as well as a stellar line-up during a “Mini Keynote-a-Thon” included common threads about equipping our students to share their learning by creating content. I thoroughly enjoyed sessions presented by math buddy and fellow ADE Kyle Pearce. 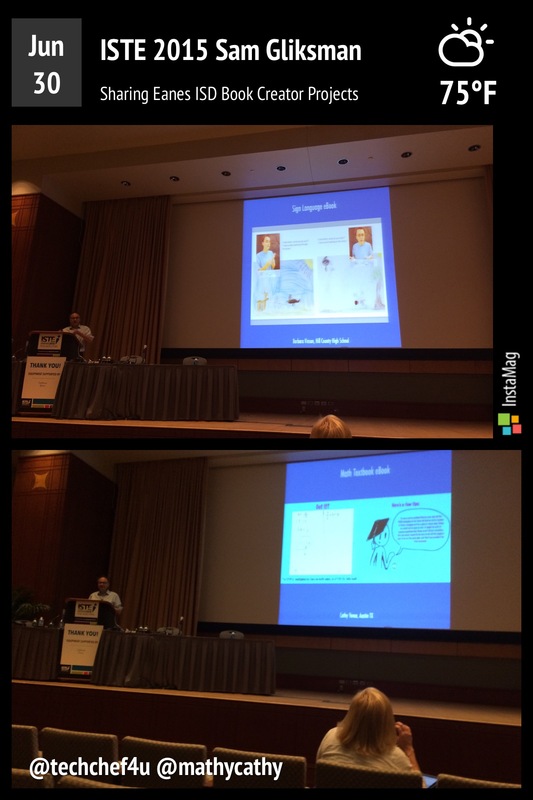 Tim Yenca (@mryenca) and I co-presented our first session together! 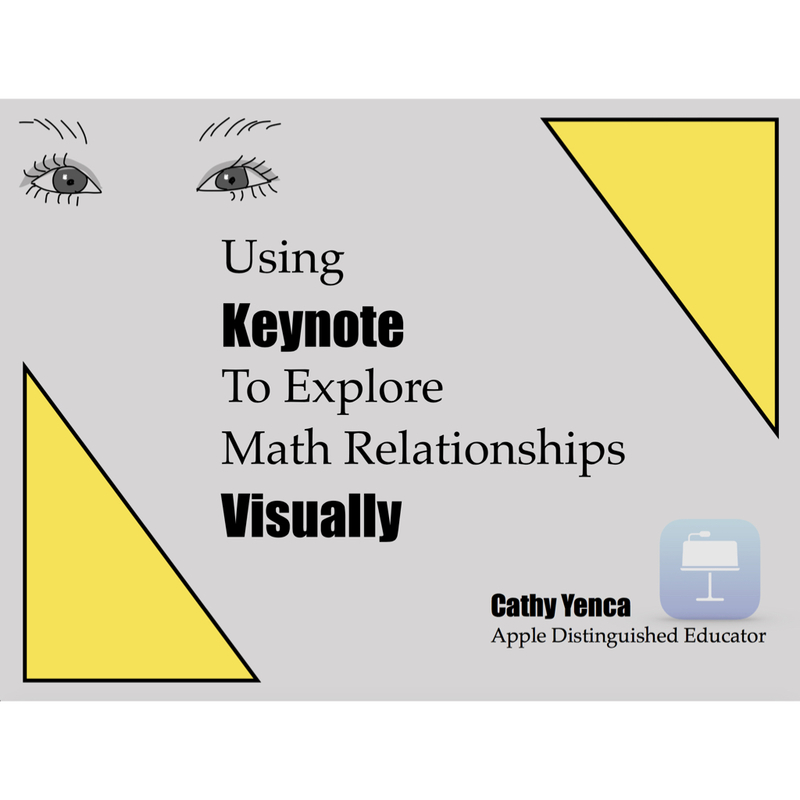 I also presented a session on my students’ experiences as math authors using the Book Creator app. On to Philaldephia! 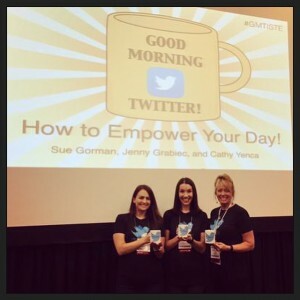 This was my first ISTE conference and it did not disappoint! Tim and I presented our iPads Out-of-the-Box session, and I also had the honor of presenting a Twitter session with fellow ADEs Sue Gorman and Jenny Grabiec. I got to meet #MTBoS friends Bob Lochel, Justin Aion, and Jedidiah Butler in person! I was thrilled to meet author of the “iPads in Education for Dummies” series, Sam Gliksman, and seeing him feature the Book Creator work of my own students in his session on student-created media was an honor! Author Sam Gliksman features Book Creator projects done by our students in Eanes ISD! Other highlights for me, personally, included meeting up with almost all of the Nearpod Content team members, meeting Sheela from CueThink, talking to the ladies at Tackk during my week as reigning “Top Tackker”, playing Kahoot with the kind Kahoot folks, meeting Daniel Tu-Hoa immediately after Mathspace won TWO ISTE start-up awards, meeting Susan Oxnevad of ThingLink EDU… and being a finalist in the Ed Tech Karaoke Voice of the Year competition! 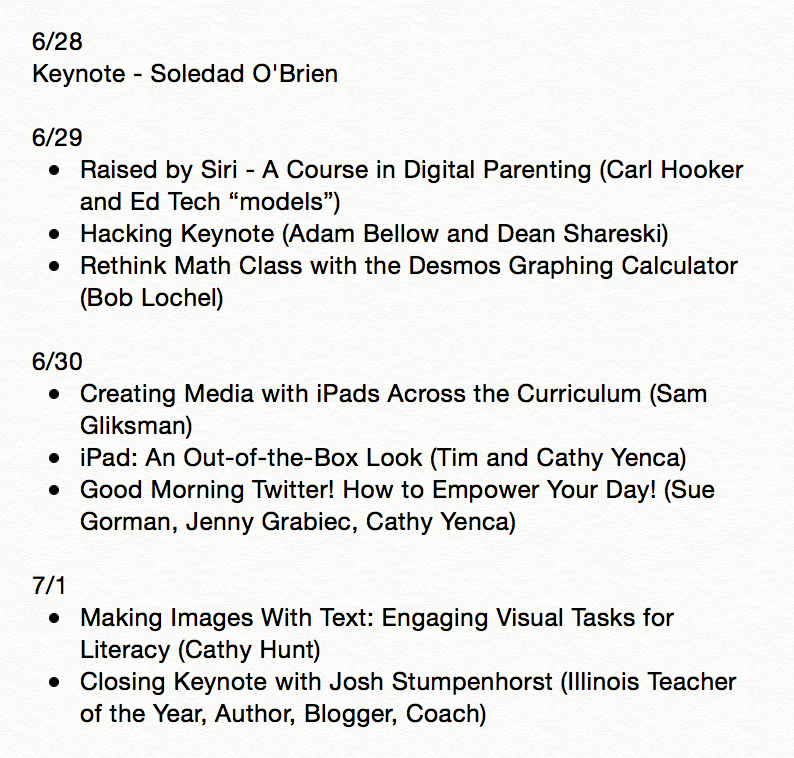 Finally, I never tire of spending time reconnecting with my amazing Apple Distinguished Educator friends, so many of whom attended either iPadpalooza, ISTE, or both conferences. Feel like I haven’t done these conferences justice? Me too. Next year, you have to go! See you there…? 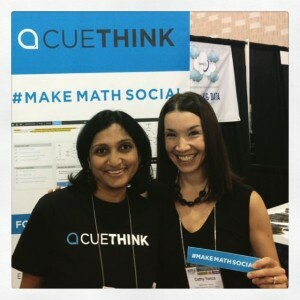 Check out a great problem-solving app – CueThink! This entry was posted in Algebra 1, Pre-Algebra and tagged #MTBoS, CueThink, iPadpalooza, ISTE, Kahoot!, mathspace, nearpod, Tackk, thinglink. Bookmark the permalink. Great to read your summary of the two events, Cathy. Thank you so much for doing a session on Book Creator. 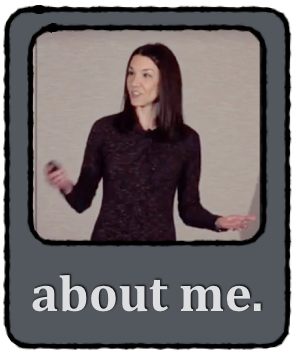 Hope to meet you at ISTE next year! Dan, it was my pleasure! And what a thrill to see author Sam Gliksman featuring my student’s Book Creator project!?! 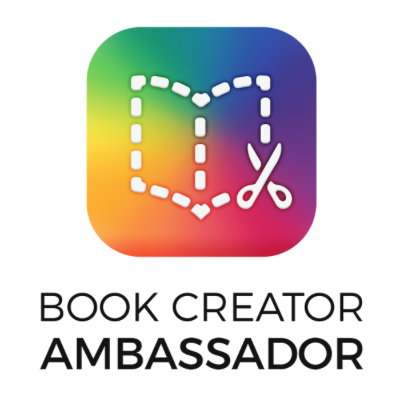 Looking forward to future endeavors will Book Creator, and I hope to meet up at ISTE 2016 as well!